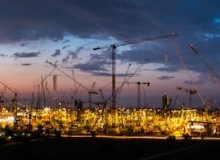 From the 8 - 14 April bauma 2019 will be held at Messe München in Germany. 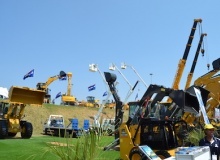 3,990 companies from more than 55 countries are set to exhibit at the 32nd edition of the world’s biggest international trade fair for construction machinery. 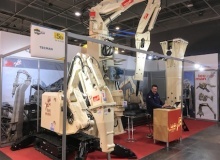 A total of 3,350 exhibitors from 38 countries and regions, an increase of 13% percent when compared with the preceding exhibition year, exhibited at bauma China this year. Visitors and exhibitors were ‘delighted’ with the amount of business done directly at the booths during Demcon 2018. 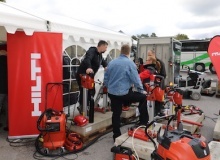 This helped ensure that Europe’s only exhibition dedicated to demolition, recycling, concrete cutting, concrete floor grinding and polishing, dust and slurry extraction, and other associated industries, was again a ‘hit’. However, the amount of business done during the show was just one of the many highlights of this year’s show. 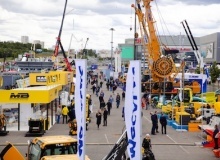 For the first time under its new name of ‘bauma CTT Russia’, the 19th international trade fair for construction equipment and technologies was held successfully from 5–8 June at the Crocus Expo IEC in Moscow, Russia. 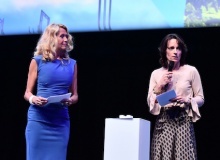 The event surpassed the previous year’s results in terms of visitor and exhibitor numbers. 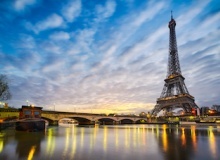 Despite losing some of its appeal over the years, Intermat remains the most important French exhibition for construction and demolition equipment, slowly regaining its position as an important international show. 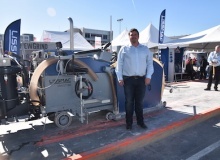 Even though some players were conspicuously absent, the crème de la crème of the demolition industry brought their latest developments and innovations to Paris. The PDi team reports. 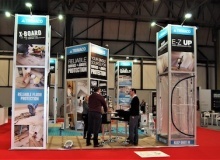 On the 21st and 22nd of March, the UK Concrete show was held at the NEC in Birmingham, England. The show itself is focused on the needs and requirements of any company, whatever its business, that deals with concrete. With close to 200 product categories on display, the show is seen by the organisers as the place for UK companies to see the latest developments in the industry, view new products, and interact with fellow industry professionals. 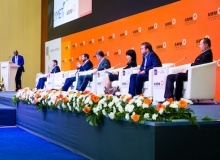 The World Mining Congress will this year be held in Kazakhstan under the slogan of: "Innovative superiority is a step forward on the way to the growth of world mining industry". 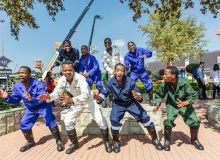 More than 400 exhibitors and 20,000 visitors are expected at this year’s Bauma-Conexpo Africa which will be held at the Johannesburg Expo Centre from 13 to 16 March 2018. 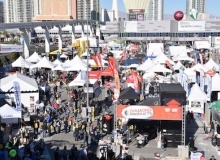 The most important annual international event of the year for concrete sawing and drilling, concrete floor grinding and polishing industries is World of Concrete. The RWM exhibition is the UK’s largest exhibition for the recycling, processing, handling and deriving solutions from waste materials. Held at the NEC in Birmingham, over 500 exhibitors provided an insight into how their equipment and services can help businesses, governments and individuals deal with a variety of waste. This year there was also a great deal to interest demolition companies, with many exhibitors providing equipment and services for the handling, processing and recycling of construction and demolition materials. The first edition of the Southeast Asian trade show for construction and infrastructure, Intermat Asean, ended on a positive note on 10 June at the Impact Exhibition and Convention Centre in Bangkok, Thailand. 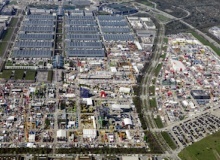 Ecomondo/Key Energy, to be held at the Rimini Expo Centre on 7 to 10 November 2017 and organised the Italian Exhibition Group, is the first European exhibition on circular economy with more than 1,200 companies exhibiting their products and processes and 105,000 delegates from more than 40 countries. 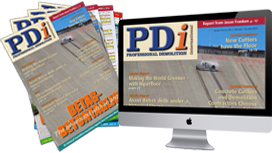 From the 22 to 24 June the third joint National Federation of Demolition Contractors and Institute of Demolition Engineers Demo Expo was held at the Hertfordshire Showground near St. Albans, UK. 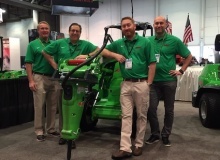 This bi-annual event saw over 50 exhibitors showcase equipment and solutions to over 5,000 visitors.